I confess that I arrived at the conference last week with a healthy dose of skepticism. Though billed as a treatment of “Legal Heterodoxy in Islamic and Jewish History,” I worried that the conference’s subtitle and chronological frame, “Late Antique and Medieval Transformations,” lightly masked a correlation of Islamic:Medieval and Jewish:Late Antique. As I reviewed the schedule in advance, I noticed that the symposium poster announced scholars of classical rabbinics in conversation with scholars of medieval Islam. How, I wondered, would this create a valid historical conversation? And if history is not the goal, why study late antique Judaism alongside medieval Islam? Would the goals be ecumenical? Philosophical? The theoretical study of law? When Lena Salaymeh, one of the organizers, opened the symposium with a nod to the above disparity, it began an honest discussion of the challenge of placing Islamic and Jewish law in synchronic conversation. The pride of place of rabbinics in both Jewish Studies and the popular Jewish imagination leads to a concomitant lack of emphasis on the medieval transmitters and interpreters of rabbinic culture. Even among those who have studied medieval Rabbanite law, far greater work has been done on Jewish law in Latin Europe than on its counterpart in Arabic lands. Recent decades have seen a resurgence of interest in Geonica, but surprising lacunae include Jewish law in Muslim Andalusia, North African halakhists, and even, relatively speaking, the legal writings of Maimonides. Many books could be written about these and other topics, both from an “internal” perspective and by understanding them in light of their Muslim contexts. This is not to say that the conference papers did not contribute to the study of Muslim and Jewish law in concert. While previous scholarship has acknowledged connections between Sasanian-era rabbinic and nascent Islamic legal systems, these connections await thorough scrutiny. G. Libson and others have long championed S. D. Goitein’s “Mediterranean society” view of medieval Judaism and Islam, but scholarship has not always appreciated regional or contextual factors in medieval Jewish legal history. Developments in the study of Sasanian culture will improve the study of both Geonic-era Islamic and Jewish legal cultures. Yaakov Elman’s paper, to nobody’s surprise, served as a good touchstone for that project. Only in teasing out what I like to call the “late antique soup” of the pre-Geonic world will we properly understand the rise of Islamic law. Phenomenologically, I was most excited by the papers of Steven Fraade and Mohammad Fadel. Fraade analyzed rabbinic traditions that valorize legal pluralism, while Fadel focused on the unusual positions of Ibn Hazm (d. 1064), who lived at the end of Muslim hegemony in al-Andalus and rejected the “normative pluralism” of medieval Sunni orthodoxy. Though it went unmentioned, it is highly suggestive that as a religious minority, Geonic culture famously downplayed the multivocal vision of the rabbis, conceivably for similar reasons to Ibn Hazm. A good conference is marked by the questions it poses and the avenues it opens, and this conference was no exception. In her closing review of the proceedings, Talya Fishman outlined three areas of Jewish studies that could be enhanced by greater understanding of Islamic law: (1) the consolidation of legal traditions in the Geonic period; (2) a change in the “technology” of the law (from oral to written Torah); and (3) Geonic epistemology and treatment of both aggadah and halakhah. To this list one may add the lacunae mentioned above, as well as scholarly understanding of Karaism (something this blog has recently highlighted). Ultimately, Judeo-Islamic studies remains a young and exciting field. Marc Herman is a graduate student in The University of Pennsylvania’s Department of Religious Studies. Two articles on redaction in the Tannaitic corpus that is not Mishnah were recently published. I thought that each exemplified an interesting facet of the reembracement of source criticism in recent years. The first is Yoav Rosenthal’s article in Tarbiz 79, on an interesting phenomenon in the MSS of the Tosefta. 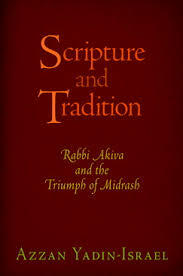 Rosenthal’s work focuses on the “recent afterlife” of texts; something analogous to the search for “historical traditions about Jesus from the first 48 hours after resurrection”; although he contends that rabbinic works are in fact made of discreet sources, they are not always readily found. The only “rigourous” tools we have are the MSS, which rarely give away the secrets of actual redaction. They’re better at finding the first baby steps the text made when it was being transmitted. In what might be his most influential work yet, Yoav Rosenthal brings to light some gems first discovered by Adiel Schremer. Rosenthal claims he has found footnotes in Tosefta, which become apparent when comparing the two extant MSS of this work. In some rare instances, a clump of halakhot will be found at the end of the chapter in one MS, and in the middle in another. Rosenthal shows that this clump of halakhot is a commentary on one halakha in the chapter of Tosefta that does not “move around” in the MS tradition, or an addendum to it. This of course opens the door to the possibilities that (a) there are more such places, but they cannot be found in the MS tradition, and (b) that the Tosefta is made up of multiple layers, and that it was an open text for a certain amount of time. This should be distinguished from true “redaction”, i.e. the creation of a new text out of sources already available to the redactor. This phenomenon was recently astutely detected in Tosefta Sanhedrin 7 by Ishay Rosen-Zvi, and deserves its own treatment. A completely different take on the question of redaction is Steven Fraade’s “Anonymity and Redaction in Rabbinic Midrash”, published in the recently-noted Melekhet Mahshevet. In a conference conducted two years before Moulie Vidas suggested that the Stam was being anonymous on purpose, Fraade made the same observations regarding the anonymous material in the Mekhilta. Fraade notes that since Halivni and Friedman popularized the idea that the Bavli is made of different strata, very few scholars have attempted (in print, at any rate) to apply the same tools to other rabbinic texts. Fraade suggests that it makes less of a difference whether or not the anonymous parts are earlier or later than the named ones, and that the bigger and more interesting task is to parse the effect this combination of multivocality and monovocality has on the reader. Do many names carry more or less weight than one text speaking with no names; and what is the effect of the combination? In order to do this he read through a sizable chunk of Mekhilta nezikin, and presents the reader with a detailed discussion of parasha 4 in which he points out that the named statements in this midrash are “interlopers in a text that otherwise seems to glory in its anonymity”. He suggests that their names are presented in order to point out the partiality of the single opinions against the redacted text, brought into the debate to highlight the overarching anonymous pedagogical move that is Stam Mekhilta. Fraade himself sees this article as the beginning of a project; as someone who is already laboring on several readings of parashot of midrash, his insight on the effect of the final redacted product on the early reader is an invaluable tool. I would, however, also focus on actual source criticism, which is easier to employ in Midrash, with all of its rules, terms and patterns, than in Mishnah, Tosefta or Talmudim. In a way, this reading too is a study on the short-term afterlife of the text: what did the composer mean for the first audience to hear? What would the first – or third – teacher of this text transmit to his students? Are these questions better or are they in fact just a shying away from the old (“protestant”) questions of redaction and source criticism?